Merger and acquisition (M&A) activity in the insurance sector has had three consecutive six-month periods of growth for the first time since 2009. Global M&A activity rose by 9% in 2018, with 382 M&As in the sector, according to law firm Clyde and Co’s latest insurance growth report. This level of growth is despite global economic and political uncertainty, including increasing concerns about Brexit throughout the year. Brexit is also why the law firm expects there to be a lull in M&A activity in the first half of 2019, as companies wait to see what will happen politically. Andrew Holderness, global head of Clyde and Co’s Corporate Insurance Group, said that most insurance companies and brokers have already prepared for Brexit. “Most of our clients have put steps in place two years ago, 18 months ago and have steps in place whether there’s a deal, no deal, and are ready to go,” Holderness said in an interview with Insurance Business. The reason why Brexit impacts M&A activity, is because of wider economic factors, he said. “It creates uncertainty. And any CEO in an M&A world, it always puts a bit of a dampener - not a total dampener but a bit of a dampener - on any M&A activity,” Holderness explained. One thing Holderness doesn’t see changing is the scope of M&A activity when it comes to brokerages. 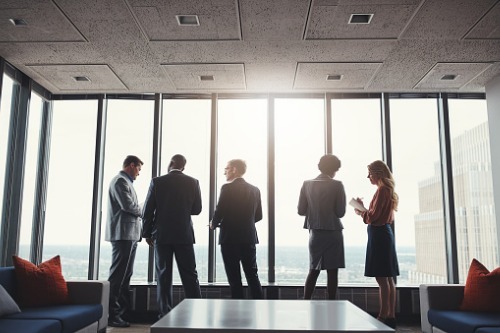 The executive explained that while there had been some consolidation, he believes many won’t ever consolidate simply because of the culture in the smaller, mid-size brokerages. “What we’ve got now is three big brokers, we’ve got Marsh, we’ve got JLT and we’ve got Willis. Then we have the next tier of brokerages size-wise, and they are looking at those big boys and thinking that it actually creates opportunity for them being smaller,” Holderness said. “Basically, they think they are more flexible, nimbler, more agile, more customer-focused - they’re much more in-touch with their customer relationships. A lot of them do not strive to be the size of the big three, they see it as a unique selling feature that they’re not. And some of them are fiercely independent. Another highlight from the Clyde and Co report was that technology and insurtech firms have been, and will continue to be, a big driver of M&A activity. The report highlighted how, globally, companies are investing in technology start-ups to innovate their business and think smarter. Holderness explained that while some companies are simply worried about tech start-ups coming in to steal business, others are welcoming the innovation. “Above the line, the insurance market has a choice, they will be worried about new players that arrive and disrupt our market and take our market share. A number of the insurance players have actually been at the forefront of opening themselves up and saying ‘well we are here to incubate and assist these start-ups to develop their ideas with us.’ They’ve said ‘let’s embrace it,’” he explained. One way the technology is innovating is by improving internal processes for companies, allowing them to process claims faster and save money, Holderness says.